UPDATE Feb 27, 2010: Yelp has been repeatedly accused of manipulating reviews to pressure businesses to advertise with them. Based on this latest article by the East Bay Express we stopped recommending Yelp to business owners; however, Merchant Circle and others have also been guilty of these same unethical practices. You may wish to use them – just be aware of the issues. Based on the thorough reporting in this story, all the previous similar complaints over the years, and the reviews of Yelp we have read (some of which are excerpted below) it is our opinion that Yelp has lost credibility. Businesses already listed there may wish to be cautious about their activities. Links in the original post were lost due to problems when updating this post. Since we will not longer be recommending Yelp we did not spend any more time making corrections to the original below. We did add the missing links in the information above so that others can make their own decisions. This post is part of a series on how to add your business to free Local Listing Directory sites. This step-by-step process is the shortest path to getting listed at Yelp. DO NOT start by logging into an existing personal Yelp account or at Yelp.com. You need to go to Biz.Yelp.com for Business Owners and to request Business Listings. While there is some controversy over Yelp about Yelp Reviews, they do have a major amount of traffic (23 to 25 million unique visitors per month according to Compete) and if you only want to add one business it is one of the easier Local Search Directories you can get your business listed in. NOTE: There are two separate log-ins for Yelp: One is a Business Owner login and the other is your individual Yelp account login. If you create an account for one it does NOT work to log-in to the other. It helps to think of them as two separate sites and ensure you are in the one applicable to what you wish to do. You may wish to create accounts for both. You can create them using the same log-in information if you wish – just remember you have to log into them separately. 3. If you find a listing for your business you will have to confirm by phone. Yelp’s system will dial the phone number provided in your listing to confirm it is you. You have to be available to enter a code their Web site provides. 4. If you do NOT find a listing click on the link that says Having Trouble Finding Your Business. 5. Type in your business information. 6. Their system does not currently have an option for selecting 24×7 hours. Either do not select any hours OR use the hours you answer the phone. 7. You need to respond to an email to verify your email address. 8. After your submission is manually reviewed you will receive instructions on Claiming Your Business. 1. Even though you enter your Web site URL it will not appear in your listing until your listing has been reviewed by a moderator at Yelp. 3. If you attempt to log back into your business account shortly after creating it you may get “The email address or password you entered is incorrect.” Check your email confirmation and make sure you entered your email address and password correctly. If you did there is probably a technical issue that will resolve itself in a few hours or days as the information replicates across multiple servers at Yelp. All you can do is wait and try to log in again later. If that doesn’t work see the Yelp Caution in the next section of this post. 4. Although you CAN delete photos you upload for your business there does not appear to be any way to delete a photo you upload to your Bio in your Businesss account profile except by replacing it with another. Like many other Local Directories, Yelp uses existing databases. Your business may already be listed OR when you enter it the city may be incorrect if there are other cities that use the same zip code. If this occurs in an existing listing you can claim the business and edit the city. If it is a new listing you will have to contact Yelp to have this corrected or wait sixty days to do it yourself. Their system sometimes refuses to accept a listing or address. Verify you are entering the address correctly or try changing the format you’re using to enter the address (remove periods, change spaces, abbreviate or remove abbreviations). If that doesn’t work you may have to contact Yelp. If you work with more than one business be very careful using Yelp in the same browser on the same computer. If you log out of one account and into another you sometimes see information that belongs in the original account you were working in. To be safe you may have to delete cookies related to Yelp before logging into a different account. If you accidentally log into one account’s information from a different email address it appears to delete your original email address and you may not be able to log back into the original account. If that happens create the account again or start at the Claim Your Business process (provided your listing has been on Yelp more than sixty days – see point 2 immediately above). NOTE: You can NOT always tell whether the information you are using is for the business or personal Yelp by looking at the domain URL. Some business owner information is on the Yelp.com domain (like the Business Owners Guide. 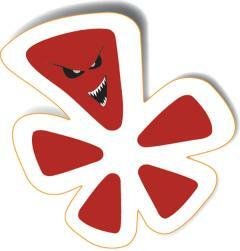 When you are logged into your Business owners account you will be on Biz.Yelp.com. If you need assistance try using Twitter to contact an official Yelp representative or Yelp Community Manager (CM). Here are the Yelp folks I’ve been able to locate so far. * @YelpLA – Dawson – Los Angeles, Calif. If you know of any others let me know in the comments here or contact me at Twitter. * Yelp vs OpenTable – Where Should Restaurants Spend Their Marketing Dollars? This a informative review, thanks for the directory you posted. I was a little taken a back with so much Yelp information and most of it I had no idea. I have a Yelp account and so far everything has worked out really well. I did see the next topic in Yelp where you are no longer recommending it. I suppose Yelp sold out? I will have to read and find out! Great information and enough of it to help each of us make an educated decision. I’ve realised that Yelp has deproved in the last couple of months.. is that true? Yelp is a top site in the states. This are some great tips! I have heard the same thing about these companies. Im surprised they can get away with it. Well maybe not that surprised. Get a clue. The only people who can review a business are those that actually USE IT and YES, the reason they often choose a business is because they met them at a networking event and developed a relationship. It is ridiculous to remove reviews and ban people simply because they know each other. That is what makes these businesses better – that they have relationships with the people who patronize them! Very detailed info, I should sign in Yelp, however I am not in USA. Does it work for international users too? It’s a great review about Yelp,s businesses, at least I have an idea about what Yelp’s really is now, thanks to you :). Very detailed info, I should sign in Yelp, however I am not in USA. Does it work for romanian users too? thanks for the information. I now have the idea on what to do on my business. this post is so interesting. thank for sharing with us this kind of information. I wanted to know more how to get our free business listing. Very detailed info, I should sign in Yelp, however I am not in USA. Does it work for swedish users too? This is the saddest thing about review sites, it can easily be manipulated by the business owner. They can easily outsource someone to write a positive review for their business to improve their credibility which is really wrong, and the biggest problem yelp has faced is that their own staffs is the one creating positive reviews and get paid. Being bias has no limitations for people who just wants to earn money LOL. You did see the update at the top of the page and the drawbacks to using Yelp? Might I suggest you consider Merchant Circle and especially that you read the post I’ll feature in CommentLuv in this reply on how to get free listings in major sites such as Google Maps, Yahoo Local, Bing, SuperPages, etc. This is an excellent overview on Yelp’s biz practices. “Yelp’s own admission that they pay employees to write business reviews…” should say it all. I’ve known people who were pressured by Yelp regarding reviews and people should be aware of how these guys operate. .-= Houston Seo´s featured blog ..Search Engine Placement Optimization Tools =-. Thank you for taking the time to comment so that people see there are others who have seen this problem themselves. .-= growmap´s featured blog ..Akismet Deletes Comments Bloggers NEVER SEE! =-. .-= nurussadad´s last blog ..Mafia Wars – Fight Club =-. this is really good and interesting. guess I’ll be one of your fun. Please keep it coming! I would love to get a FREE listing on yelp, with the way the world is at the moment it makes sense to get your name where ever possible, thanks for writing an article about this it is very helpfull. Yaa i want to know How to Get our Free Business Listing ,likes to know more. See the post I’ll feature in this reply about Local Search Directories. Everything you need to know is in that post or linked to it. If you would like assistance use the contact tab to reach me. with today’s economic situation – all the free listings you can get for your business will help. Thanks for great information. I would love to hear more from you about your directory. Part of Yelp’s success has got to be attributed to their use of social media. Besides being a great product of course. Thanks for listing the community manager Twitter names. I’ll be heading over to Twitter in a minute! yelp listing helps a lot to improve your ranking your yahoo and google local business list. Businesses need to get more serious about listing themselves on all the free Local Directory sites. Each incoming link improves search engine position. You will also get some direct traffic from each of them. Since you can not control what sites your potential clients use it is best to be on all of them. Good business idea that work out for effective results. Be sure to check out the other how-to Local Listing posts. Several are already published and there will be others posted soon. They are currently US and UK only – and only recently added UK. I suspect they may expand into other markets. I sent them an inquiry asking whether they have plans to offer their services in additional countries any time soon. A Yelp Manager tells me they are in the U.S., Canada and the U.K. now and have plans to expand to other countries but have not announced specifically which ones yet. Oh! Thank you very much, I will be around. You’re very welcome. I hope you’ll check out some of our other posts and consider Subscribing to our RSS Feed or Subscribing via email. I have a question. Is there a space for non-local business in Yelp? If you have a physical address I recommend getting istings in all Local Directories even for businesses that operate entirely online. The links are valuable for moving all your search engine listings up and if someone knows where you are or is within the range of that directory they can find you. I have not seen any of the Local Directories addressing the obvious need for online businesses to show up in searches. They may in the future or there could be someone even now finding a way to fill that need. I’ll see what I can find out. You may want to Subscribe to our RSS or Subscribe via email or at least subscribe to the comments in this post. I do update my posts to keep them current and add new information. I added more Yelp Community Managers (CMs) and links to two useful articles since this post was published. If you have stats you may want to check your traffic. I shared your blog at Twitter, FriendFeed and cliKball the last time I replied to one of your comments here. I really hope that matt’s suggestion is effective, I will try it and see if its really work. Need to list my business @ yelp, this topic really helps. thanks! There was a problem with the URL you used so I unlinked it because it did not work and it looked like an email address instead of a URL. Feel free to use links and anchor text in the future. I am sure Matt’s idea will work very well indeed. I should have thought of it myself! @matt, your “paying forward” suggestion is good. Yes, that is a great suggestion Matt made. He is a regular here and we all benefit from his insights. Local Search Directories that offer free listings. If you want to Subscribe to our RSS or Subscribe via email there will be more how-to articles in the very near future and a summary post that links to all of them. Here in Northern California, where high tech trends (like Google) have their incubation— YELP is the number one web site for information about businesses. In San Francisco, its huge! I’ve also found that its helpful to review other “related” businesses (such as wedding venues, for example) because the brides will read my reviews of “XYZ Wedding Hall” and they will actually call ME for further information and possibly using my services for their event. Its called “paying forward” and it works!!! That is a really excellent suggestion. Thank you SO much for taking the time to share it. I am planning a series on how to write reviews too and will hopefully remember to use your idea and give you credit for it in each of those review posts. I think I’ll go suggest it to my followers at Twitter right now. You’re welcome. There will be many more posts like this one – one for each of the Local Search Directories mentioned at Local Search.